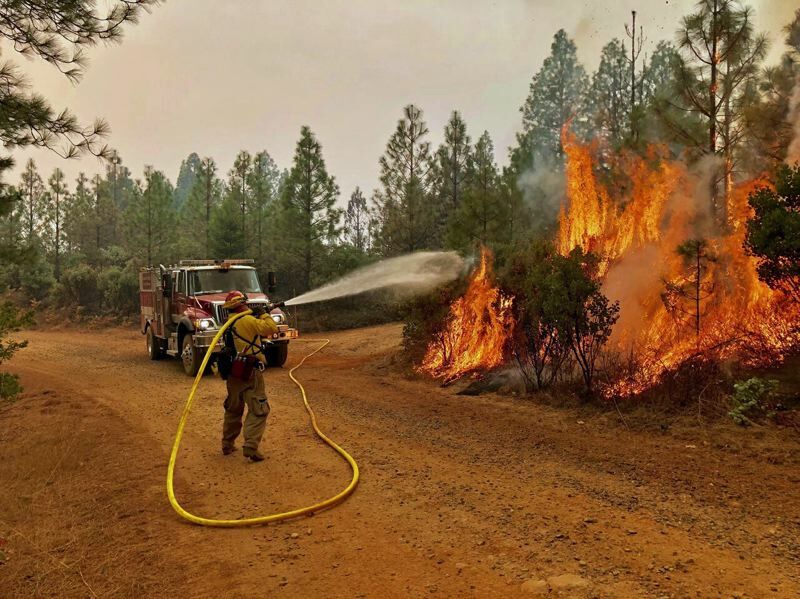 Crews from Tualatin Valley Fire & Rescue helped battle the deadly wildifres in California. They got the call the week of Nov. 5. California's wildfires had grown so big, so fast, that the state's resources were tapped out. Oregon was being asked to help. 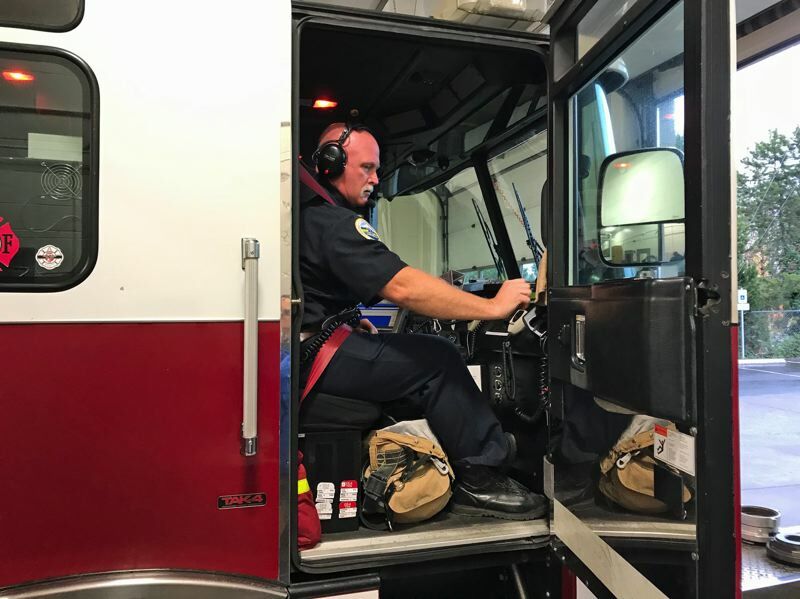 Lt. Trevor Herb of Tualatin Valley Fire & Rescue said word came down one night and, by 10:30 the next morning, the agency had rallied 15 personnel and five firefighting vehicles for the mission. They rolled south in convoy — brush rugs, a fire engine, a command vehicle — along with Clackamas County firefighters, heading toward the deadliest fire in California history. As of Monday, Nov. 26, the Camp Fire was fully contained and the death toll stood at 85, but that was expected to climb. It was not an average fire, Herb said. "This was the hottest fire I'd ever seen. It looked like a moonscape," he said, standing in the bay of Fire Station 64, at Southwest 185th Avenue and Highway 26. "People told us (the fire) was moving at 50 miles an hour." All of the local firefighters came home safe. But Herb said the fire was unsettling; the veteran firefighter choked up a little while talking to reporters this week, and several other firefighters declined to speak on camera because "they're still processing it," said Cassandra Ulven, TVF&R public affairs chief. Herb talked about going into houses that had been abandoned quickly in the face of the fast-moving fires. "Doors open, phone chargers plugged in. People just got up and left. They were just gone." At one home, Herb said he found a list of the family's phone numbers. He called the top number. He spoke to the homeowner, and got to tell the man that his house had survived. When one state needs another state's assistance, it's up to the governor — in this case, Gov. Kate Brown — to authorize the transfer. The Oregon State Fire Marshal's office oversaw the deployment of 15 strike teams, including the TVF&R crews. In total, Oregon sent 85 vehicles and 290 personnel, according to Kim Zagaris, state fire and rescue chief at California Gov. Jerry Brown's Office of Emergency Services. California will pay Oregon, and the state will reimburse the firefighting agencies, Ulven said. 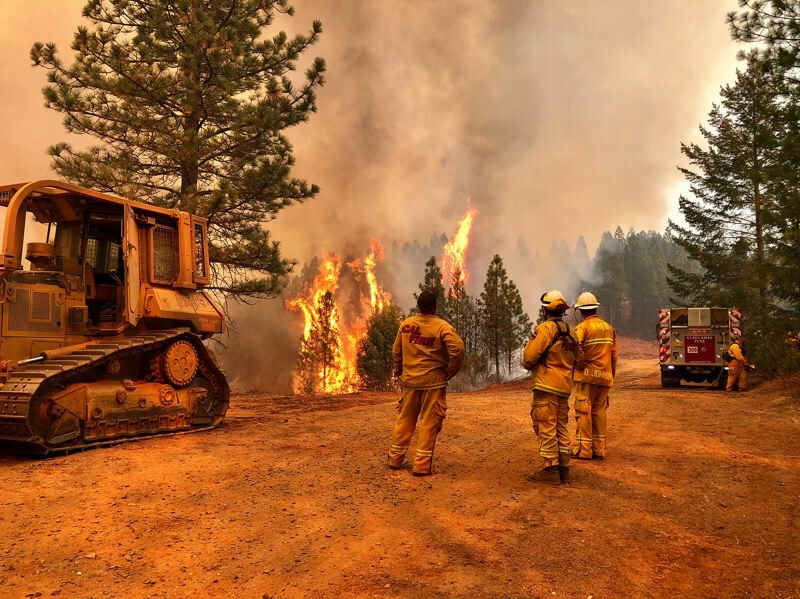 The agency sends crews from the "wildlands roster," she said; those are firefighters trained in brush and forest fires, as opposed to just urban fires. That way, when they return, they bring back more experience and knowledge to be used for local brush fires. Tualatin Valley Fire & Rescue now covers almost 400 square miles west of Portland, and includes large swaths of brush land, including in the Stafford Triangle — between Tualatin, West Linn and Lake Oswego — and Cooper Mountain, near Beaverton. The district also abuts the Coast Range forests, Ulven said. "The knowledge they gain there will be used for fires back here," she said. The TVF&R teams were deployed to the Feather River Valley north of Sacramento, Herb said. They later moved to Big Bend Road, near the Shasta-Trinity National Forest. He said his firefighters felt empathy for those who lost family members or property to the fires. But their suffering isn't over," he added, speaking on Nov. 21. "Now they're dealing with inches of rain. Starting today." Herb shook his head in wonder. "First fires. Now it'll be mudslides."